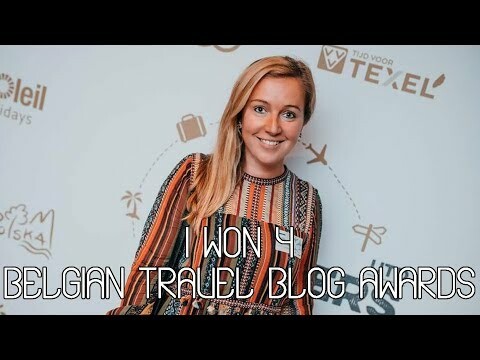 Belgian Travel Blog Awards Vlog: I won! This is my Belgian Travel Blog Awards Vlog! The first day shows you my arrival at the NH Hotel in Gent, meeting other bloggers and the Travel Blog Awards ceremony. I won 4 awards; Best Road Trip, Best Adventure, Best Lifestyle and Story of the Year! The second day I was invited by Toerisme Waasland to explore the Verbeke Foundation Museum, King George Café (the second pretties bar in the world) and the VBDCK Brewery. Thank you for watching! Please make sure to LIKE and SHARE the video if you liked it and SUBSCRIBE to the channel for new travel videos 🙂 Please DON’T DOWNLOAD the video. Only share it via the original YouTube link. I work hard on these videos and deserve the credit and the views!